Brother Bear Productions: A New Age in Media Management: Brad Fritcher + trois Album Press Release and Distribution! 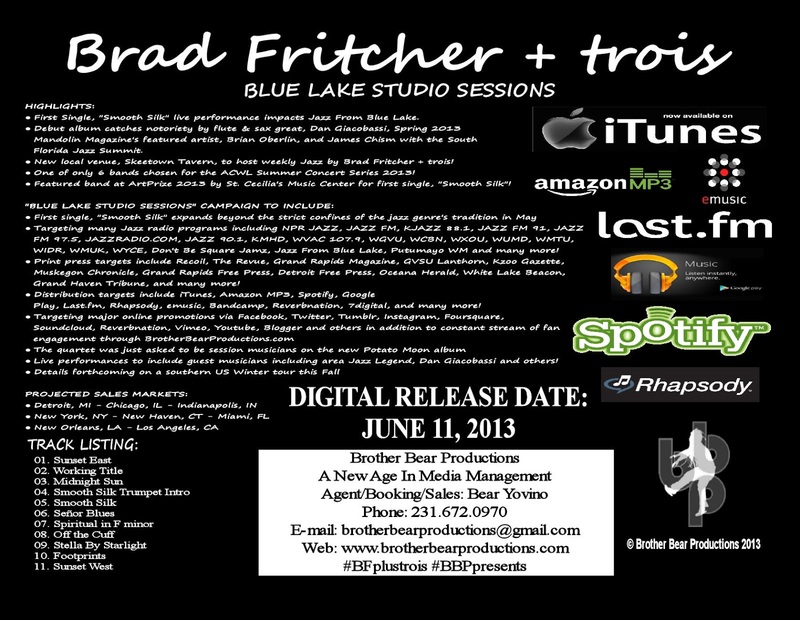 Brad Fritcher + trois Album Press Release and Distribution! 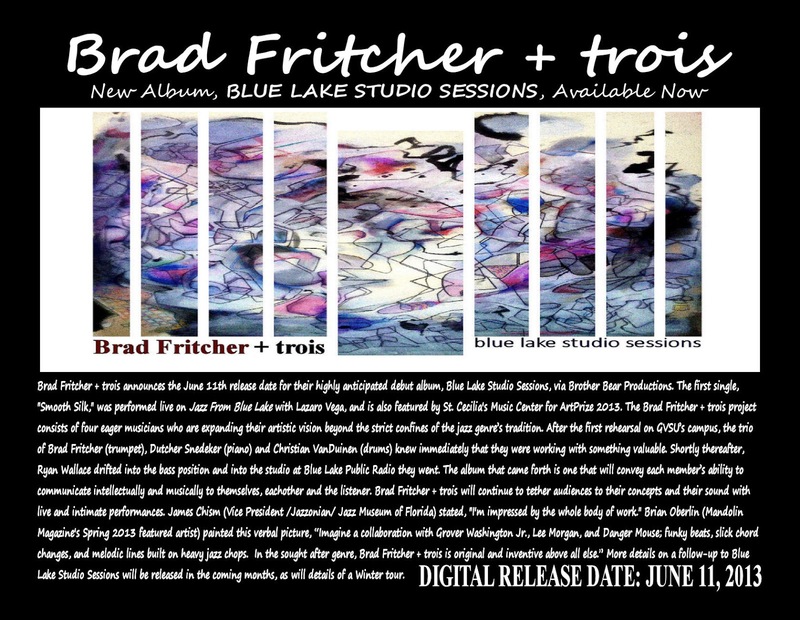 Brad Fritcher + trois's album Blue Lake Studio Sessions is now available for digital downloading at the following: iTunes, Amazon MP3, Spotify, Last.fm, Rhapsody, emusic, Bandcamp, Brother Bear Productions, 7digital, Google Play and more. 0 Response to "Brad Fritcher + trois Album Press Release and Distribution!"